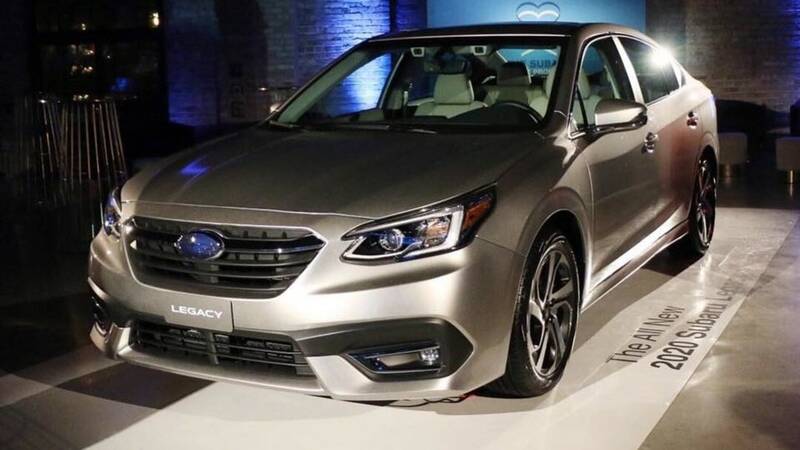 The all-new 2020 Subaru Legacy sedan gets a new XT trim marking the return of the turbo model to the lineup. See what performance fans will get. Customers haven’t been too excited about the Subaru Legacy four-door sedan the past few years, but that could change with the new 2020 model coming this fall. Subaru has put the fun and excitement back into the all-wheel-drive Legacy. The big news for the all-new seventh-generation 2020 Subaru Legacy sedan is it gets a new turbo model. A new XT trim marks the return of the turbo model to the lineup. The last time Legacy was turbocharged, was the 2012 model year when the sedan was offered with a 265-hp 2.5-liter Boxer turbo GT Limited trim with a 6-speed manual gearbox for performance enthusiasts. For 2020, Subaru brings back the turbo model and uses the XT designation last used on the Forester XT. Subaru sources the FA24 2.4-liter turbo Boxer DOHC, direct injection engine with same 260 horsepower and 277 lb-ft of torque they use in the Ascent family hauler. The new 2020 Legacy XT should bring back the excitement to the Legacy sedan. Subaru says the 2.4-liter Boxer launches the Legacy XT from 0-60 mph in an estimated 6.1 seconds. It comes mated to a CVT automatic and Subaru says they tweaked with a wider gear range and reworked hydraulic system for better power transfer to all four wheels. The updated transmission also uses a lower viscosity oil that reduces horsepower loss by 32 percent compared to the previous model’s CVT. It also gets impressive full efficiency with a manufacturer’s estimate of 24/32 mpg city/highway. All Legacy trims get the new Subaru Global Platform that will result in improved driving dynamics, a quieter cabin and improved ride comfort. Legacy also gets an all-new lighter, stronger and more responsive suspension that should work well with the 2.4-liter turbo. Subaru is also giving the new Legacy XT bigger wheels/tire combination with 18-inch alloy wheels wrapped in grippy V-rated 225/50 R18 tires coupled with four-wheel ventilated disc brakes for extra stopping power. Subaru says the new XT will have the highest levels of dynamic performance of any Legacy model in its history. Subaru Corp says the new Legacy will have a wider stance an even lower center of gravity for improved stability in the corners and driving dynamics. The 2020 Legacy also gets the New Subaru Global Platform resulting in more accurate steering response, and newly designed dampers and reduced unsprung weight due to the application of lightweight parts including aluminum lower L-arm contribute to much-improved handling. Legacy makes it’s global debut at the Chicago Auto Show. The all-new seventh-generation 2020 Legacy XT models will go on sale at U.S. Subaru dealers this fall. Stay tuned. This is welcome news. Here's what bothers me though - Legacy sales have been declining for years (sedan market as a whole), but Subaru claimed it made sense to get rid of the XT Forester dues to low sales volume. I'd bet that 5% was more than declining Legacy sales over time. Hopefully, they come to their senses and offer the turbo in the Forester in 2020.